What do you like to eat? If you’re a guest at your favorite theme park, there’s a pretty good chance they’re going to have it. Whether you like the good ole fashioned fair and amusement part style food of corn dogs and funnel cakes, or if you like more gourmet fare, theme parks today have the market cornered on great food that you can’t get just anywhere. With Thanksgiving looming over us in the coming weeks, what better time to say thanks to the wonderful theme park food than to say it by voting for your favorite theme park food destination! This week we let you decide which park is the best damn theme park destination. Period. Which theme park, Resort or amusement attraction has the best food? While we could break everything apart, and pick the absolute best of each, we want you to tell us, instead which theme park has the best food overall. From table service, to sit down service and even hotel restaurants, there are so many different categories to choose from that we’ve decided to just have you give us the best overall. For three years the Best Food Destination has belonged to Busch Gardens Williamsburg. They lost last year to Silver Dollar City’s wholesome down home cooking. Will they cook up another victory, and remain the Best Theme Park Food Destination? Vote and decide! Congratulations to all of the nominees! We recommend that all nominated parks and fans share on Twitter, Facebook and other Social Media outlets. 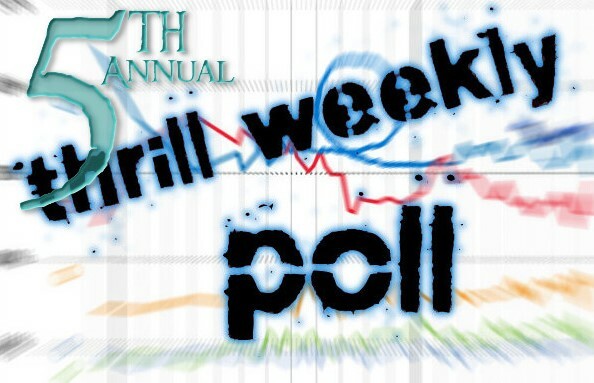 This poll will determine the Best Theme Park Food Destination of the Year in our annual “Thrill Weekly Awards” which are to be announced January 5th, 2015. This poll will be open until 11:59 p.m. EST on November 9th, 2014.